In today’s Nashville ‘Behind The Scenes’ Segment I’m taking you into the Women Of Country dressing room. 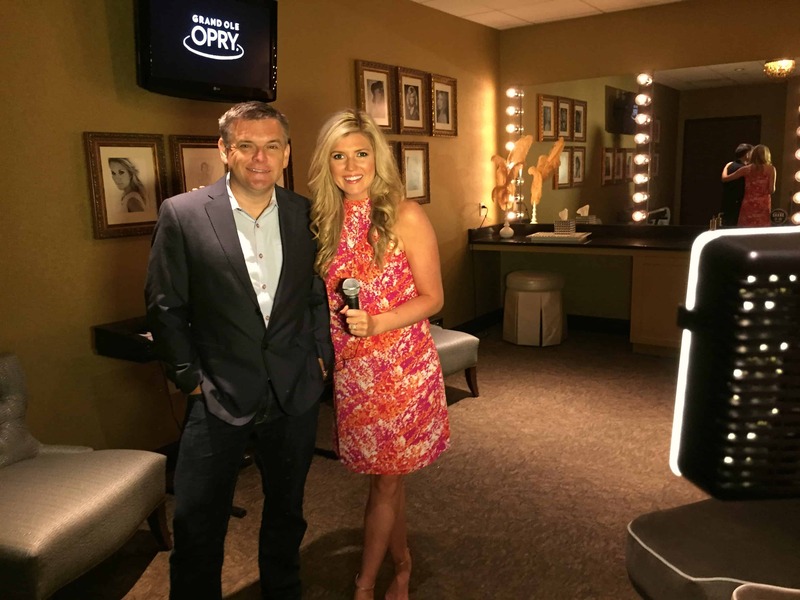 Dan Rogers tells me which country stars use this dressing room… *cough* Carrie Underwood!!! Several scenes from the show Nashville were filmed in this very room and I’m giving you an exclusive look at that. on CHCH this Sept. 23rd. Everyone at the Grand Ole Opry was wonderful to work with. My camera man Jeff and I arrived at the artists entrance… pretty cool right!? In fact, there were tours going on in the building and people were stopping to get a photo with me. Jeff snuck a photo of my Nashville fans taking their pictures (see below). I think they thought I was a performer but I didn’t stop them. I actually ended up meeting a few tourists who were from Canada! When we arrived at the Opry we had about an hour to set up our gear and then we were on the move. 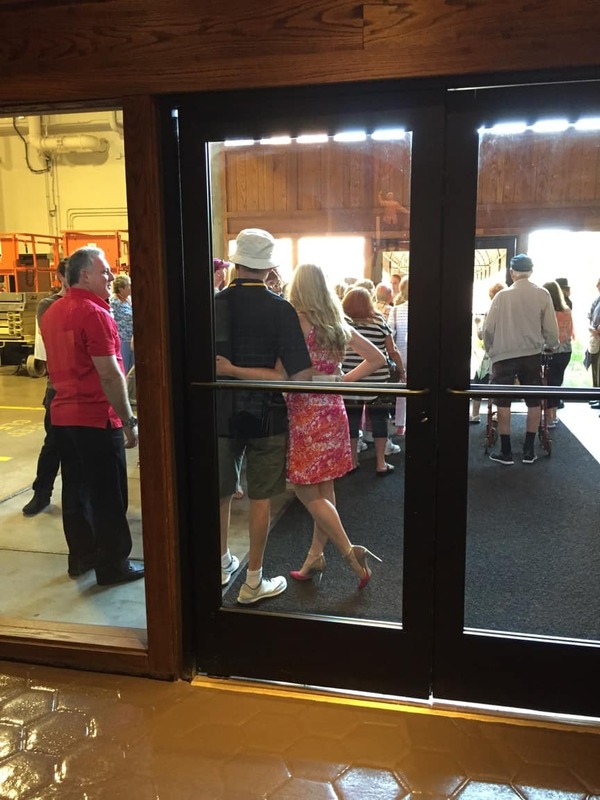 Dan Rogers took us to two of the main dressing rooms from the show. Then we went into the Family Room (You’ll get a glimpse of that in my next segment) and of course we couldn’t leave the Opry without going on Stage! It was such a cool experience I know I’ll never forget. Check back tomorrow for another BTS look at Nashville.